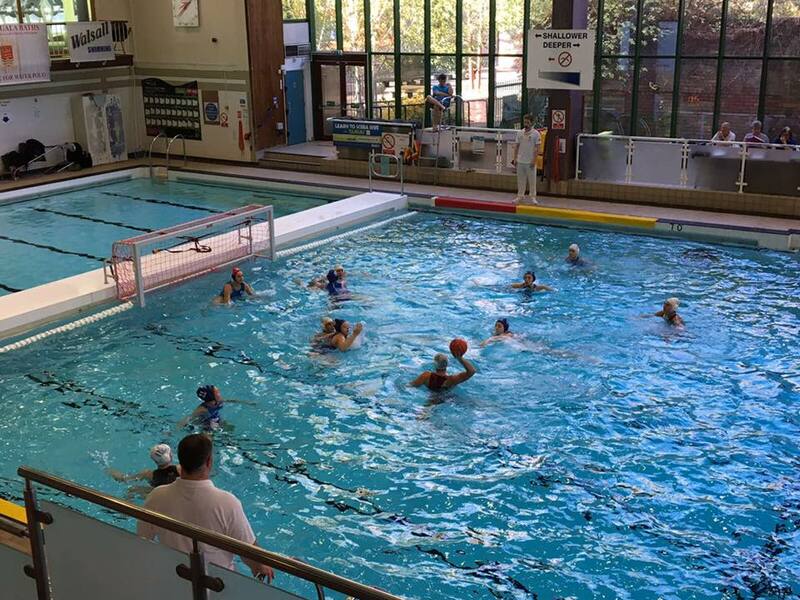 I went with coach Shakey, and our women’s water polo team, the Penguin Emperors, to Walsall for two matches in the 2nd Division of the BWPL and thoroughly enjoyed watching them in action. They played extremely well and, although they lost against Liverpool Liver Birds on Saturday, the score of 12/8 didn’t really reflect the closeness of the match and they put up a great fight. 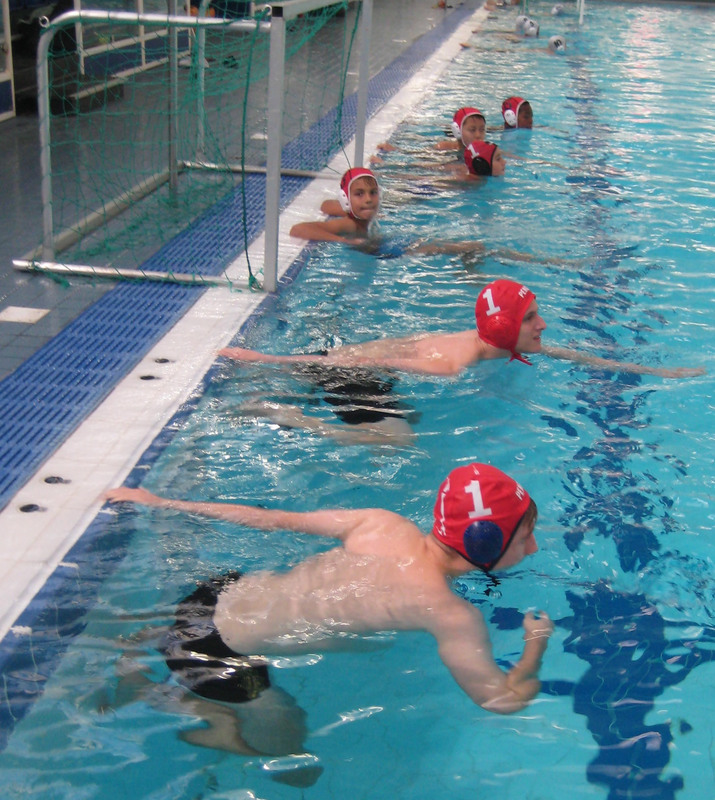 On Sunday they were splendid against Tyldesley, looking good, swimming hard, putting in plenty of shots at goal, passing and scoring well. It was great to watch and the score of 9/6 was well deserved. We have a great bunch of women who are really fun to hang out with. 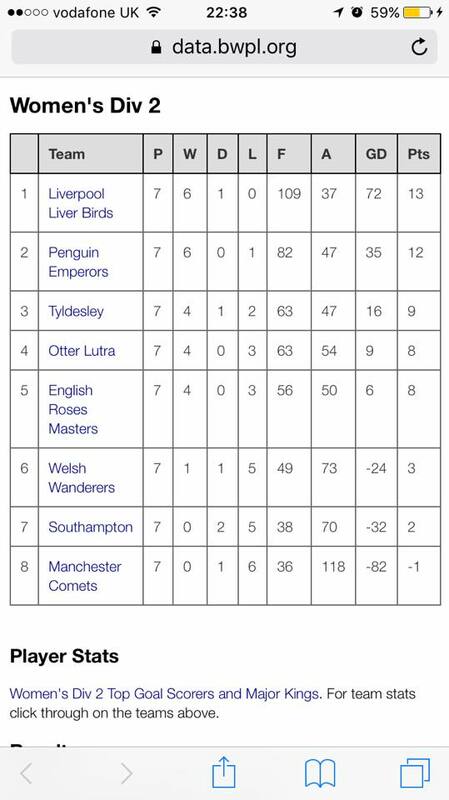 Their hard work and training has paid off, with this weekend’s results putting them 2nd in Division 2 at the end of the first half of the season. Now they go into Championship 1 for the second half of season, aiming to win entry into Division 1. Shakey says excellent effort from the team this year. 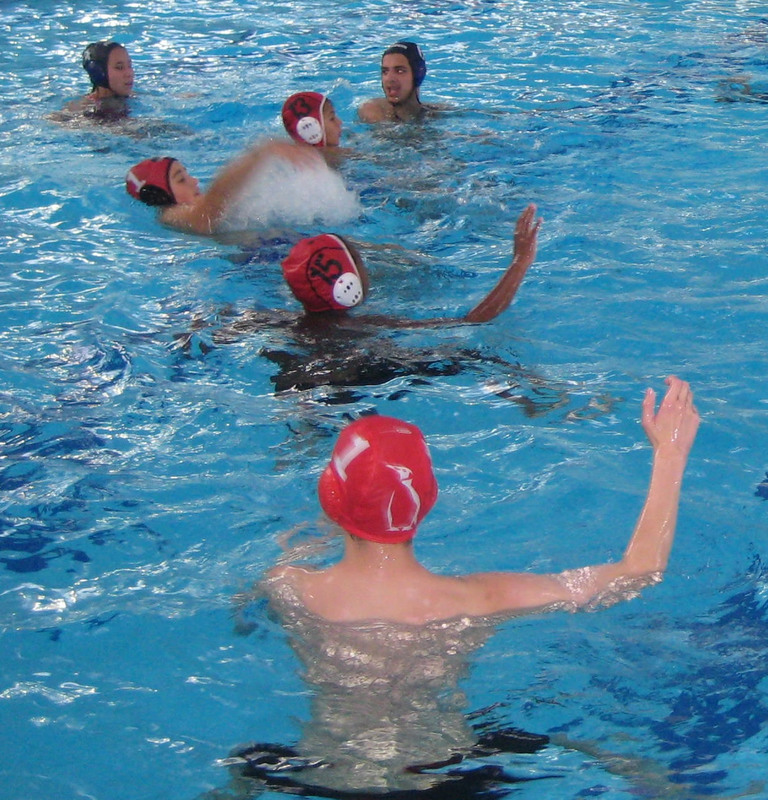 We hold a mixed ability fun tournament at Uxbridge at the end of every half and full term. The older, more experienced players are captains and they aim to pick evenly matched teams. To maximise game play, coach Aloka planned the October 21st tournament in advance, and produced a slick schedule of games on two pitches, which ran to the minute. The team captains refereed and enjoyed balancing being fair to their rivals, whilst encouraging the underdogs. 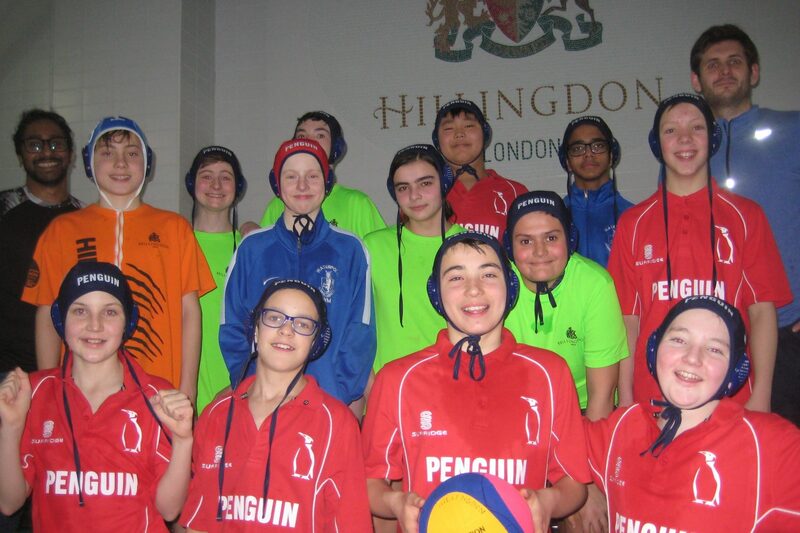 The teams and captains were : Pale Green, Mickey; Red, Adam; Navy, Ilyas; White, David; Dark Green, Tom and Purple, Michael. Kulzum and Sue B, took responsibility for scoring, and the results required some complex processing as the scoreboard below shows! • Seeing the older players encouraging the younger inexperienced players. • Adam deferring to Aloka to ref. Purple vs Navy “because Michael vs Ilyas is too like England Germany”. • Two amazing goals from Sean McHugh and his frequent consulting of the scoreboard. • Many impressive saves from Mickey. 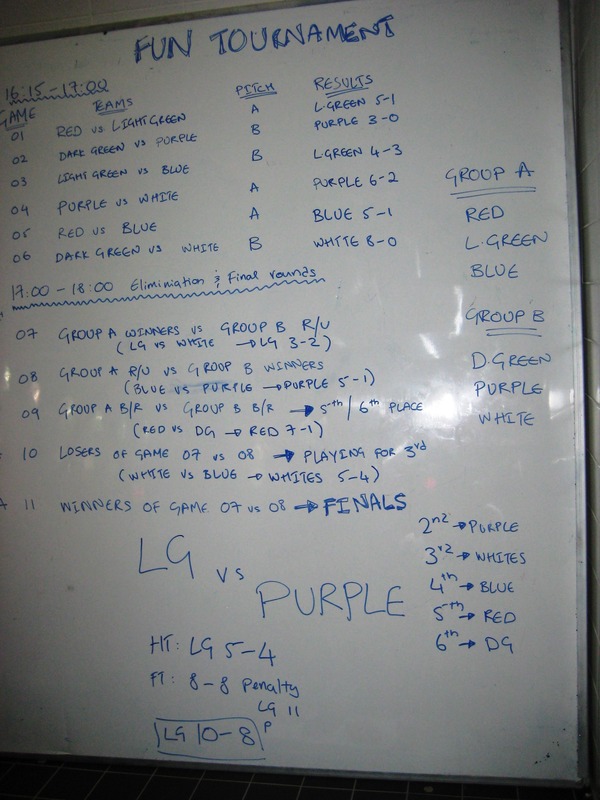 • Two sets of penalties featuring Light Green, vs Navy and Purple. • A rare visit from Ilyas, who got time off from his Saturday job to come along. Thank you Ilyas, really great to see you. Result: Mickey’s Light Green team won. Congratulations to Mickey, Jaskaran, Giuliana, Lewis, Nikola and Lorenzo. 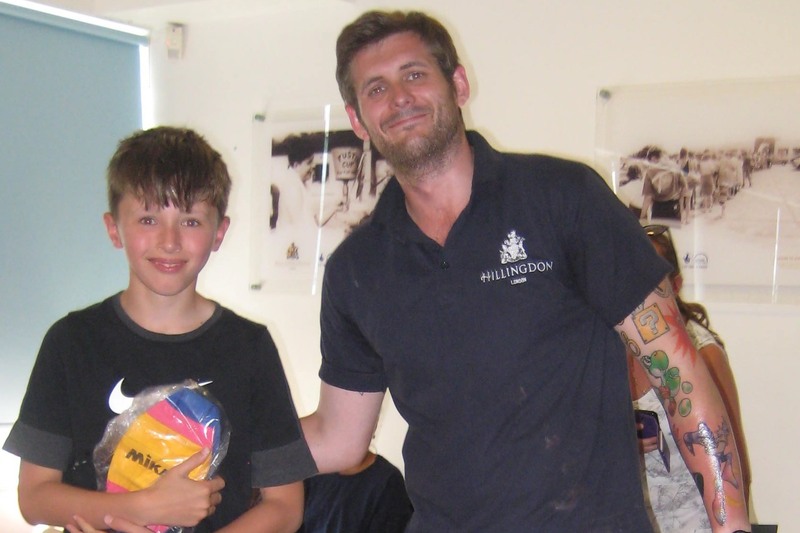 Book your place at the End of Term Fun Tournament on 9th December. Can we possibly top this one? 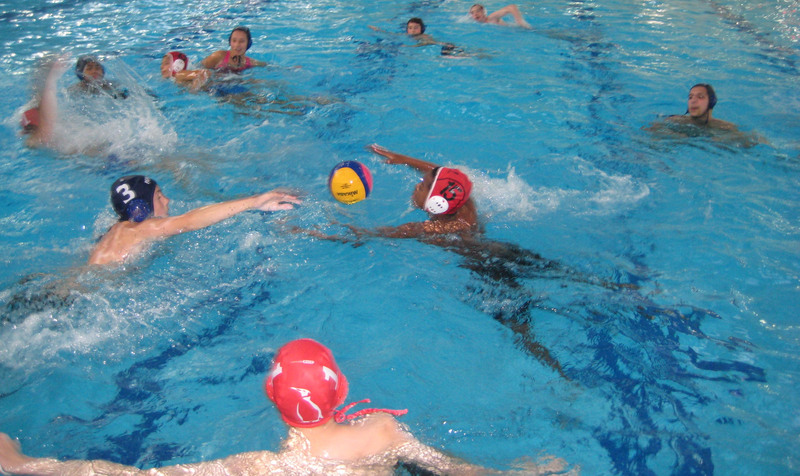 Our Juniors water polo training session on Saturday 14th October was the last one before our amazing coach Shaun gets married. 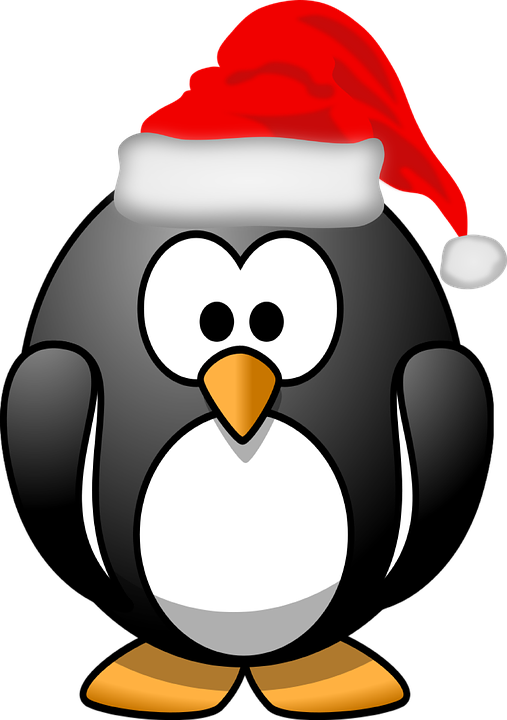 Since starting with Penguin in January, Shaun has been responsible for increasing the number of players training at Uxbridge. He is a tremendous coach with great passion for the game, and he cares deeply about developing each individual child. He never misses a training session, not even in the run up to his wedding. 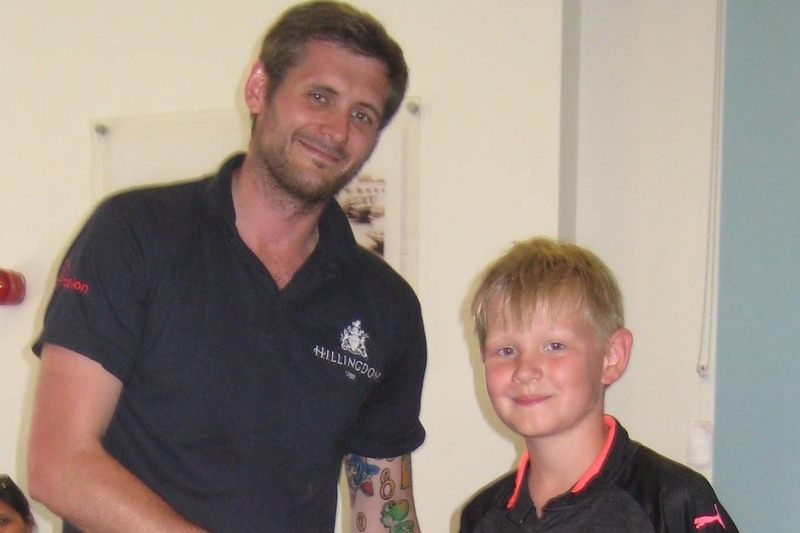 The photo shows Mickey presenting to Shaun the collection made by the parents of our juniors. 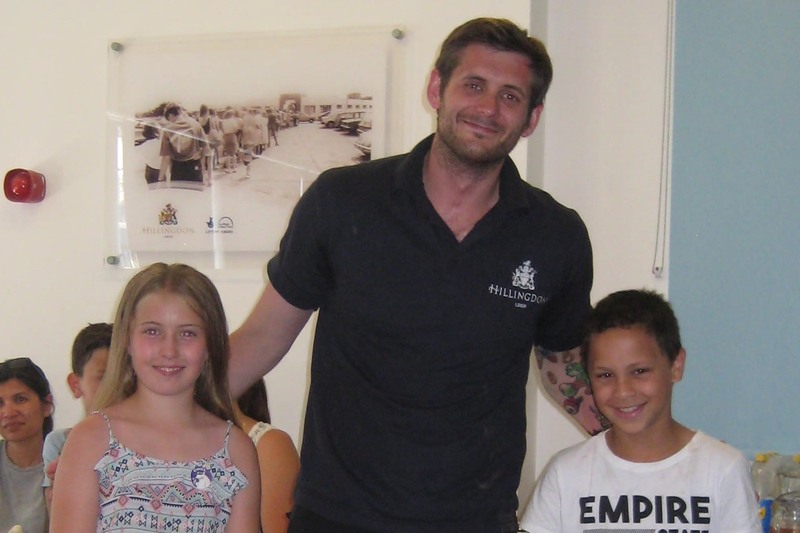 This was very kindly organised by Sam, whose efforts in getting children to sign the wedding card were laudable; notably one who signed whilst in the pool! Shaun has asked me to thank everyone for their generosity, saying he has been ‘completely blown away’, and ‘he still can’t get over it’. Our best wishes to Shaun and Nicole for their wedding on 24th October. 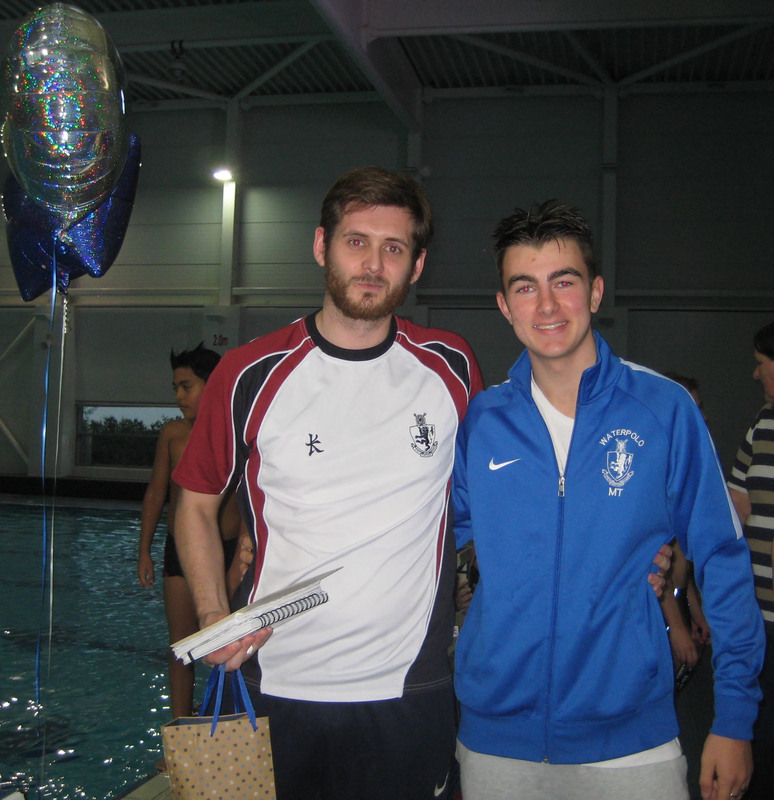 Sadly Rosario, who was coaching the older/advanced group, had to leave us in the summer. 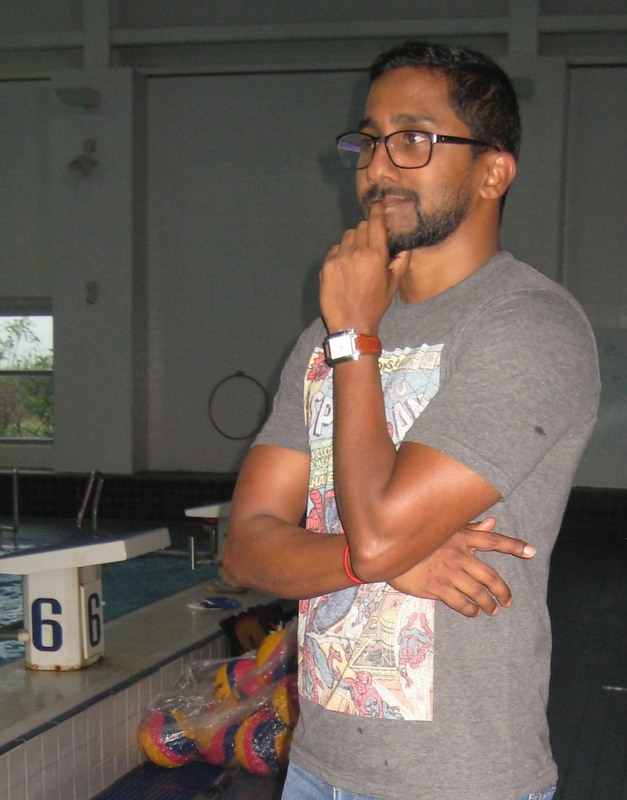 In his place we are delighted to welcome Aloka Prelis who has had considerable success coaching water polo in Sri Lanka and is excited to become a Penguin. This photo shows him looking pensive at the thought of the challenge ahead!